Can you believe how fast Christmas comes every year? Seems like I have just put away all my decorating stuff, and it is time to pull it out again. However, you won’t hear me complain. One of the easiest ways to add Christmas to your outdoor decorations is to put out our Holiday Column Covers. They are easy to use, and can be set up in less than 20 minutes! The original designs will have your neighbors talking. Holiday Column Covers come in a number of cute options. Whether you are the classic Toy Soldier type, the traditional Santa and Mrs Claus type, or the adorable Snowman type. 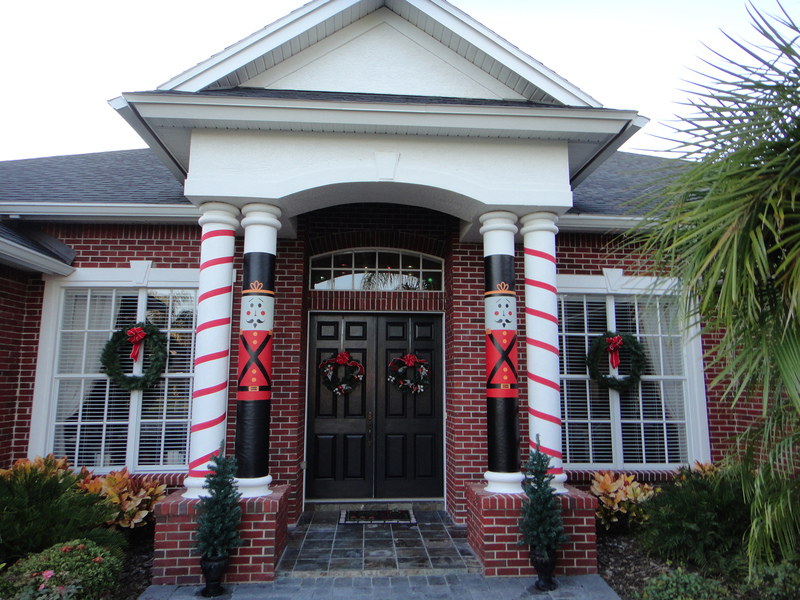 Holiday Huggits™ Column Covers add a bit of whimsey to your holiday decorating. I have found flanking your front door with two Toy Soldier Column covers really sets the stage for a beautiful entrance. Santa and Mrs Claus work great also. Just add a Christmas wreath to your front door and voila! It looks like you spent a lot of time and effort. If you have only one column or post, you can use any of the Huggits™ Column Covers as a stand alone decor, and you will be surprised at the wonderful comments from your neighbors and holiday guests. Whether you have round, square, double post or half columns, the adjustable fit of the Holiday Column Covers offers you lots of options. Huggits™ can be trimmed at the top and bottom to help make your columns the talk of the town. Check out some of our customer photos for ideas. I would love to see what your home looks like with our Holiday Column Covers. Send us a photo and we might feature your home in our next blog! Decorating can be easy, all you need are column wraps and a little creativity. If you lack creativity, use ours! Happy Decorating!